A self-driven, visionary advocate for commercial space; not only do I have an academic background in mechanical/aerospace engineering, I have also left footprints across Asia-Pacific and the Middle East in the field of business development and strategy consulting. 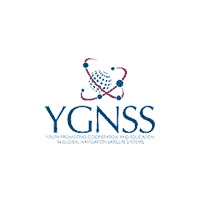 I have been long actively engaged in global space community with broad networks from academia, industry, and agencies through participating and organising regional and global prestigious events for students and young professionals in the space sector to promote multi-dimensional collaboration in the dawn of Newspace era. SGAC Japan Roundtable Talk: The SGAC Roundtable Talk in Japan is an event with more than 10 years’ history coordinated by Japanese NPoCs. Such talk is to give an introduction of SGAC to Japanese young people and update Alumini in Japan with SGAC progress.